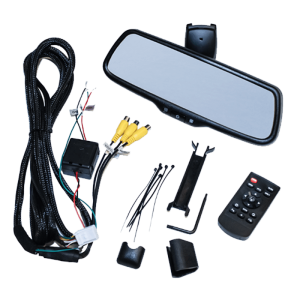 If you are looking for the ultimate backup camera monitor solution, drop into Ocala Car Audio and ask about the Voxx RVM-740 rearview mirror. This mirror features a 7.3-inch full-color monitor that will display images clearly, even in bright sunlight. Let’s look at this amazing mirror in more detail. 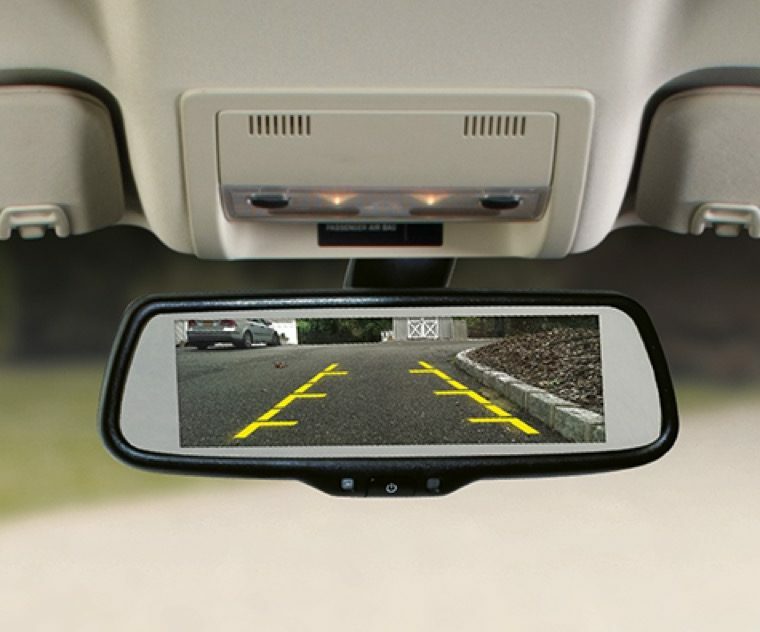 The Voxx RVM-740 is a replacement rearview camera that includes a massive LCD screen behind the mirror. During normal operation, the mirror provides a clear image of what is behind your vehicle. As soon as you select reverse gear, the RVM-740 switches to the rear camera input. Obstacles out of your line of sight are displayed on the 1280-by-390 pixel display. The screen can produce an impressive 1000cd/m output to ensure images are visible during the day. An integrated light sensor automatically dims the image at night. The RVM-740 includes two additional video input connections. These inputs can work with any PAL or NTSC composite video signal. You can trigger these secondary inputs using the integrated capacitive touch buttons on the left side of the mirror screen. For enhanced safety, we can integrate lane departure warning cameras into your side-view mirrors and trigger the RVM-740 to display them when you activate your car’s turn signal. 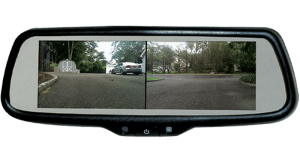 The cameras will show an image of vehicles or objects hiding in your blind spots. Uniquely, the RVM-740 is capable of showing two images simultaneously. You can choose the images you want to see. As important as the features and performance of the RVM-740 are, how the camera is integrated into your vehicle plays a significant role in the reliability of its day-to-day operation. Our team of expert installation technicians has installed thousands of backup camera solutions and replaced countless rearview mirrors. All of our wiring is secured and protected to ensure long-term reliability and trouble-free operation. If you are interested in adding a backup or lane departure warning camera system to your vehicle, drop by Ocala Car Audio and speak with a member of our team. You can also reach us by e-mail using our online contact page.